Two days after Venezuelan opposition leader Juan Guaido’s “government-in-waiting” forcibly took possession of three diplomatic facilities in the United States with the blessing of Washington, and following what many observers speculate are a series of US aggressive maneuvers paving the way for military intervention, Maduro’s security forces have begun arresting members of Guaido’s staff. 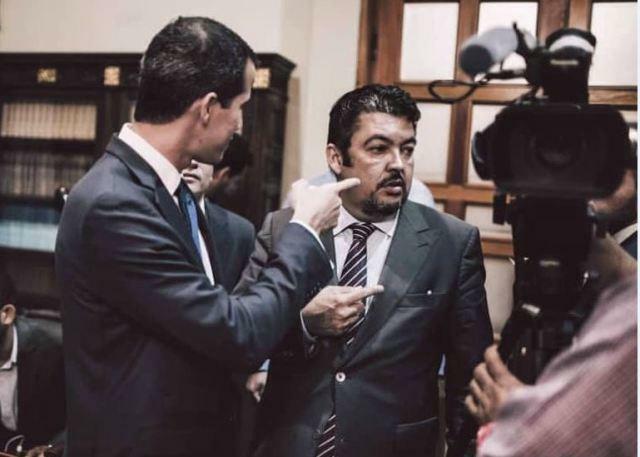 According to Reuters Venezuelan intelligence agents have arrested and detained Guaido’s own chief of staff, Roberto Marrero, as well as opposition legislator Sergio Vergara. Guaido’s press team confirmed their detentions by security forces in what’s been described as a pre-dawn raid on their Caracas residences on Thursday. And in confirmation Guaido tweeted an “Alert” — saying the two men are “currently being held hostage” since 2:24 am by the SEBIN, or the Bolivarian National Intelligence Service. “He can leave and come back and will have to see the face of justice because justice had prohibited him from him leaving the country… He has to respect the laws,” Maduro told ABC News in an interview last month. Guaido had violated a Maduro imposed “ban” on his ever leaving the country. Thus far the threat has appeared to work, however, this could be the start of security forces going after Guaido’s top aides one by one, which will no doubt result in significant threats of action from Washington.